It’s true, the majority of health problems can be corrected with appropriate lifestyle changes including the choices of what we consume. With that in mind, we’ve combined three of our newest and most popular health-boosting HoneyColony products to optimize your health. 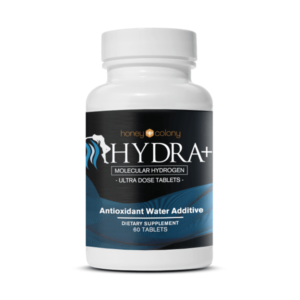 This bundle boosts energy, bolsters the immune system, and squelches inflammation to optimize wellness and performance. 1. 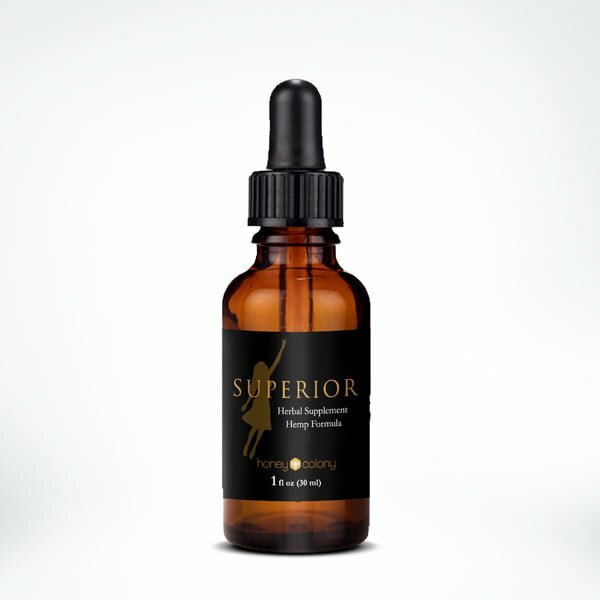 Equilibrium Energy Superfood offers you the most potent superfood fusion available on the market, using only a teaspoon a day! 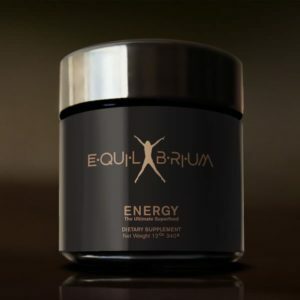 With rich bee ingredients, phytoplankton, turmeric, and a host of other herbs and superfoods, Equilibrium Energy is formulated to enhance brain function and reduce inflammation, all with the end goal of boosting your energy. 2. Superior Hemp Oil is a premier hemp oil on the market when everyone and their mother these days is selling a product. We’ve done our homework. No other product in the marketplace uses this finely extracted, optimized cannabinoid matrix, using production that meet high end specifications, using only natural ingredients in its processing. Integrity is key. 3. Silver Excelsior Serum is your No. 1 defense against antibiotic resistance, infections, superbugs, and parasites. Silver has been used for centuries for its health properties. Our Silver Serum is easy for travel, doesn’t require distilled water, is super concentrated and bioavailable, and can be used with any water-like liquid for rapid benefits. Equilibrium Energy Superfood 12 oz. HoneyColony redefines nutritional energy with a new super superfood fusion called Equilibrium. Equilibrium is the peak of evolution when it comes to superfoods. If you find a better mix, we’ll give your money back. For a 3-pack deal, go here. Our specially formulated raw honey-based blend consists of organic and wildcrafted ingredients – cultivated with the highest standards to bring you energy and great superfood taste with every serving. At the core of Equilibrium is certified organic highland honey. Eleven other potent superfoods are added – each one organic or wildcrafted, boasting numerous health benefits. The total 18 ingredients bring harmony to a life that faces any stress, toxins, and negative energy. Equilibrium comes in three different flavors and offers three different functions. The first one, Energy, was designed for athletes or anyone who lives an active lifestyle. By naturally stimulating the nervous system, enhancing brain function, supporting muscle relief, and providing anti-inflammation support, each jar will keep you in the active zone. 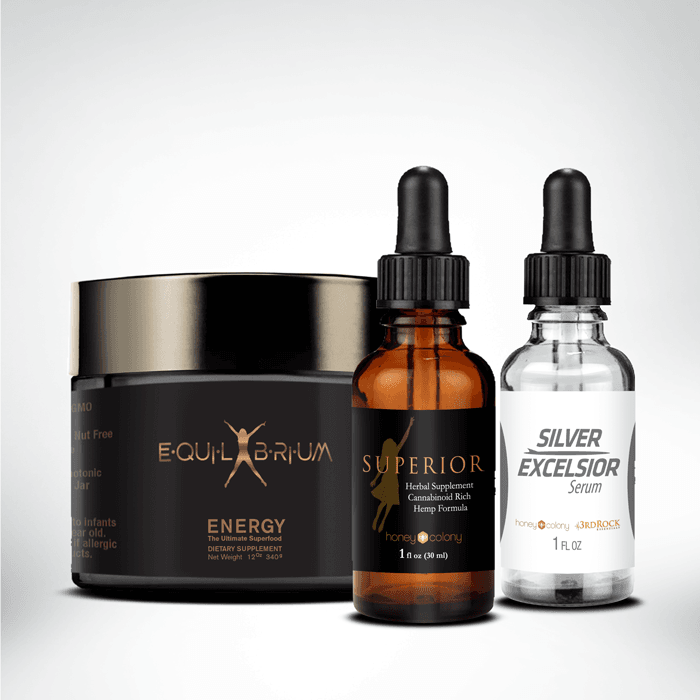 For those who live a whirlwind life, Equilibrium Energy offers the support you need for a mental and physical edge. No other product in the marketplace uses Chinese herbs and this finely extracted, optimized cannabinoid matrix that meets high end specifications using only natural ingredients in its processing. Integrity is key. Silver Excelsior Serum can change your life! 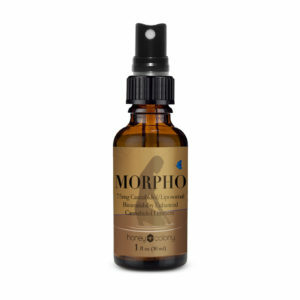 Many times more powerful than the popular colloidal silver, this serum uses chelated silver to create a natural antibiotic that can kill more than 600 varieties of bad bacteria, while leaving the good bacteria intact. That means, no worrying about antibiotic-resistant superbugs, new gut health issues, or the toxicity that comes with pharmaceutical antibiotics. 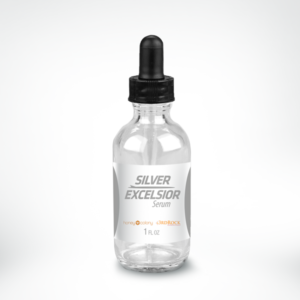 One ounce of Silver Excelsior Serum equals 40 oz of highly potent 100 ppm chelated silver solution when mixed with 8 oz of pure or distilled water. Fifteen drops per small glass of water (1 oz) will provide a 100 ppm solution that is sufficient for any condition. Best on empty stomach. Repeat if necessary next day.